In this week's episode of Kevin Durant finding a reason to whine and complain in every answer to every question he's asked, we actually may have stumbled upon a pertinent piece of information. 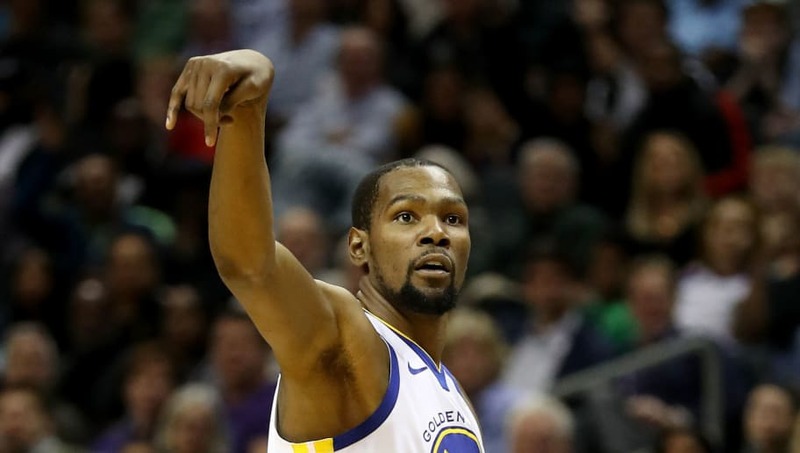 KD has had a very contentious relationship with the media since his decision to join the Dubs in 2016. That move was criticized by everybody in sports and in some circles still is. The idea of "if you can't beat them, join them" has never been so prevalent, much to rival fans' dismay. But it might not have been that thought process that made KD join Golden State. It seems he just wanted an easy situation because basketball doesn't seem to be his No. 1 love. The NBA will never fulfill Durant? What does that mean? ​Is he tired of the same old thing and will leave Golden State because legacy means nothing? Does the Slim Reaper have stuff going on in his life off the court that hold greater value to the former most valuable player? Either way, after dealing with constant battles as a member of the Thunder, it makes sense why KD would join the best team ever assembled. If the stiff competition and monumental challenge the Western Conference poses wasn't enough to fulfill is basketball desires, then nothing probably will. So there you go. Make it easy on yourself. Rake in millions and effortlessly win championships. What does it matter if you can't get the greatest fulfillment possible from your career? It seems for sure that Durant wants to be all he can be. On the court, his credentials and individual numbers can never be questioned. But off of it, who knows what Kevin Durant wants or needs anymore if being among the best in the world on the best team isn't good enough.